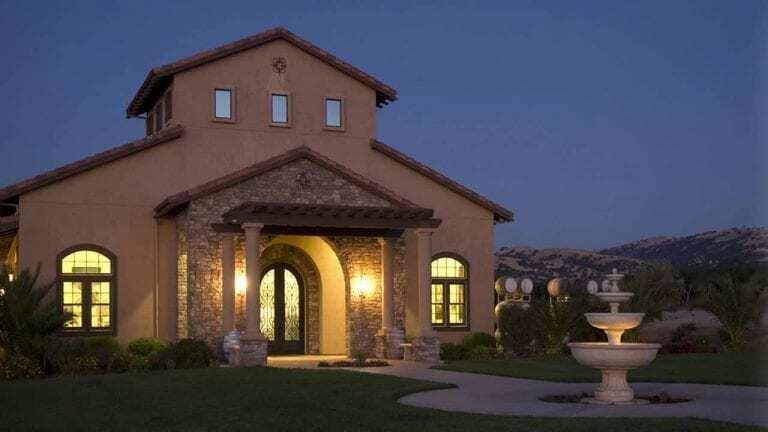 The Tri-Valley is naturally romantic, featuring plenty of award-winning restaurants to wine and dine in, gorgeous views to take in, and a ton of fun things to do around town. Whether you’re trying to woo your boo, entertain your little ones, or have a night out with your Palentines, the Tri-Valley has got you covered. Check out our newest list of things to do the week of Valentine’s Day in the Tri-Valley. 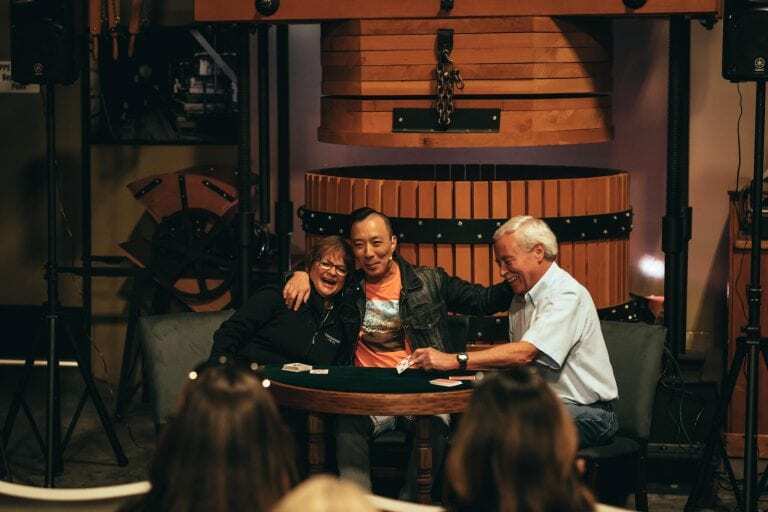 Local illusionist, Alvin Lui, will host 2 intimate shows at Concannon Vineyard in their exclusive Club 1883. Take your friends or bring your partner to this unique and personal experience. Magic Unplugged combines the polish of a stage performance with the intimacy of a close-up magic show. Performances are limited to just 30 guests, and attendees are encouraged to bring their own deck of cards for Alvin to perform with. Visit Fortune Emporium in Downtown Livermore for a fun night of scent blending. Grab your partner or your friend, and blend a traditional perfume with perfumer Loreto Remsing of L’Aromatica whose expertise has been featured in articles by Nylon Online, Vogue Online, and 7×7 Magazine. 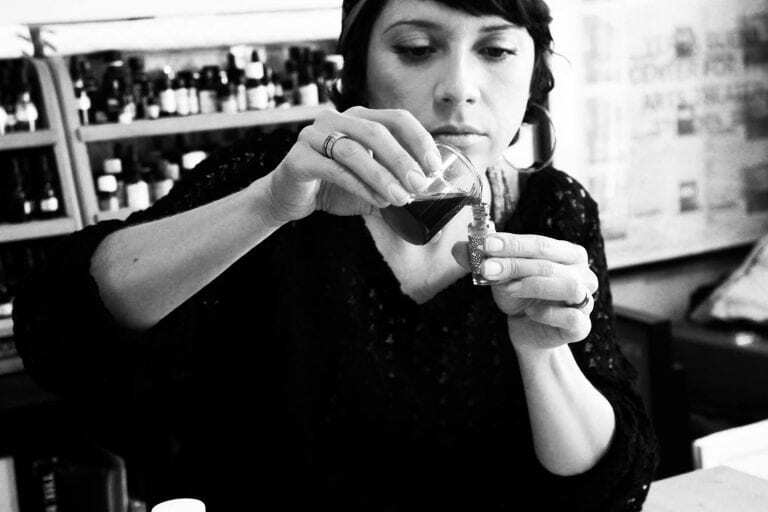 You’ll be guided through the process of creating a complex perfume formula by learning about ingredients and composition techniques. Attendees will leave with a 1-ounce perfume of their own creation. 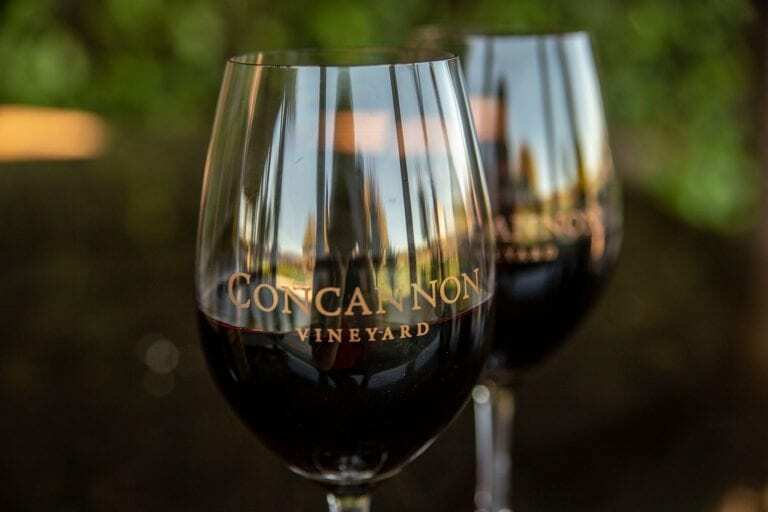 Celebrate Valentine’s Day with Concannon Vineyard and indulge in the perfect combination of wine and chocolate. Guests will enjoy a special pairing of their silky 2016 Petite Sirah Port and gourmet dark chocolate in the intimate and exclusive Wine Library. Don’t spend Valentine’s Day alone, go to Beer Baron in Pleasanton’s Stagg Party. Sip straight Buffalo Trace Distillery George T. Stagg or try an old fashion, manhattan, or whiskey sour. This lively celebration of Cupid and spirits will be hosted by a live DJ all night long. Join Wente Vineyards for an intimate wine-paired meal prepared by On the Vine Catering and served with their handcrafted small lot wines. The evening begins with a reception showcasing the new release of Nikis Pinot Noir Rosé and an assortment of international cheeses and passed appetizers. The coursed dinner will be paired with hand selected wines and guests’ meals are finished off with some fun at the chocolate fondue station. Bring your sweetheart to a romantic dinner at the picturesque McGrail Vineyards. Dinner will be held in their intimate barrel room and guests will enjoy a delicious short rib dinner with a bottle of McGrail wine. Dinner starts at 6:30PM and includes appetizers, short ribs, wine country salad, veggies, potatoes, and a delicious dessert. Nick Tyrrel will be playing live music on the patio before and after dinner. 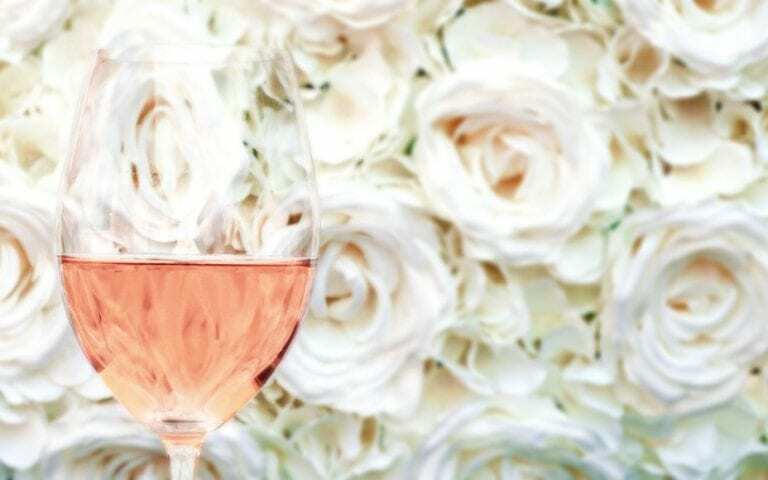 Be apart of Retzlaff Vineyards’ annual Sweet Heart Wine Weekend; full of live music, sweet treats, and sparkling wine. Enjoy live music performances from Jeff Bordes and the Burnt Ends (Feb 16) and Matt Finders and Friends (Feb 17). An extra sweet perk- Kelly from the Pretty Little Bakers will be on site with romantic tasty treats for purchase. 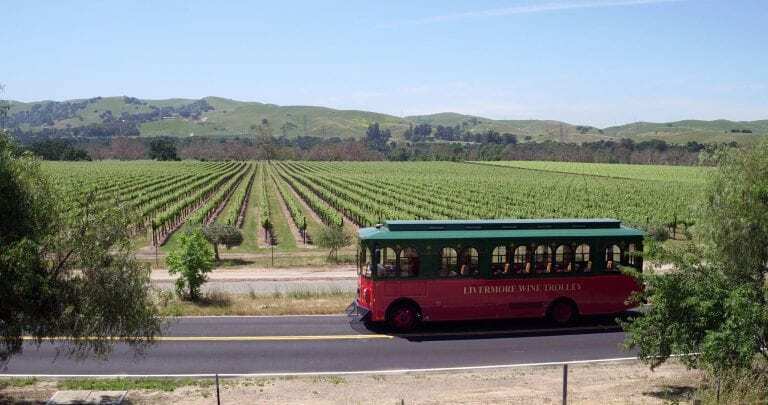 The Livermore Wine Trolley is celebrating love and friendship throughout Valentine’s Day weekend with both daytime and evening tours. Daytime tours run from 11am – 3:30pm and include complimentary mimosas to kick off your special tour. 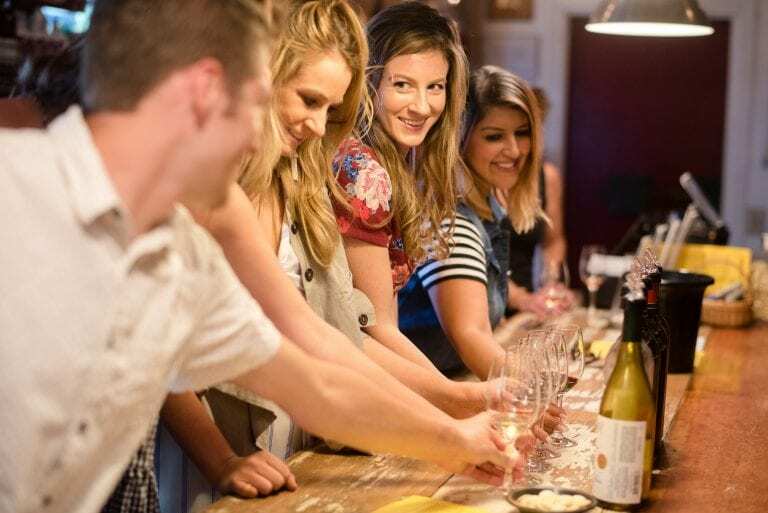 Evening tours are equally as exciting, beginning with complimentary bubbly and ending with chocolate, charcuterie and dancing. Reserve now before space runs out! 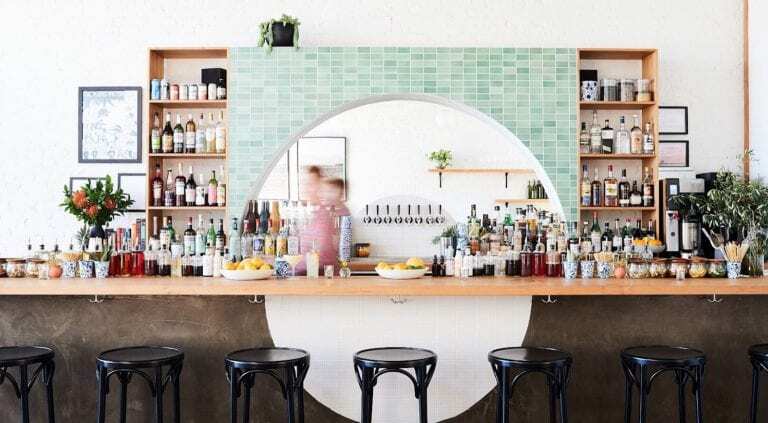 This local favorite is a must-try for local first-timers and those visiting the area. 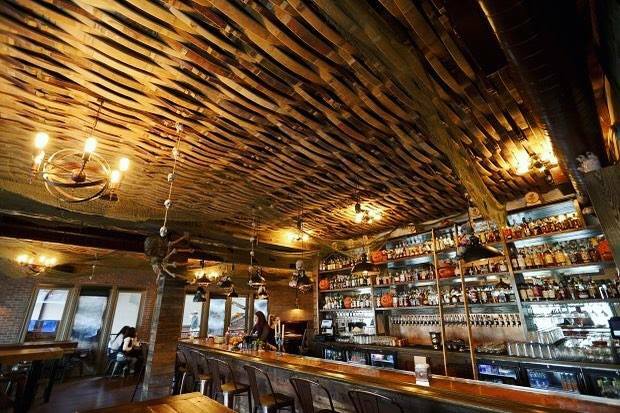 Range Life is a neighborhood restaurant, bar, and market in Downtown Livermore, and they focus on sourcing fresh, local ingredients. For this special occasion, they will be serving a four-course prix fixe menu for $75 per guest, with optional cocktail or wine pairings available. 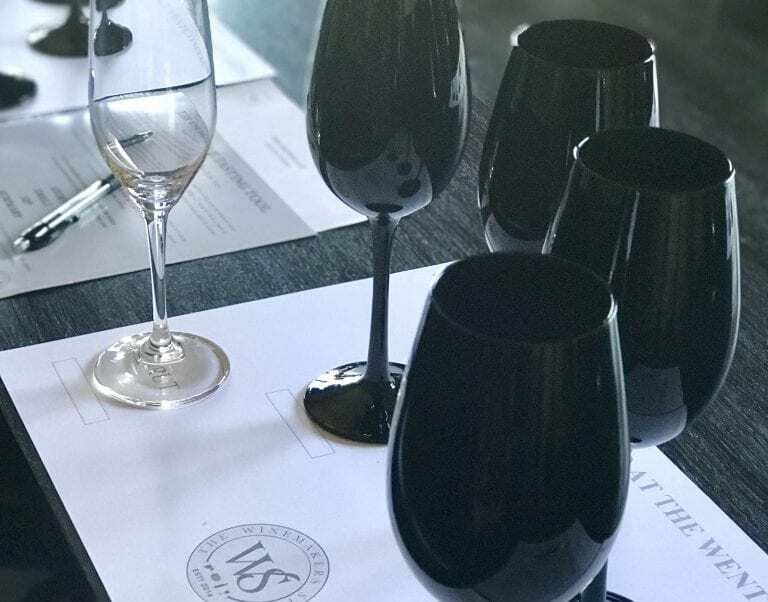 Whether you’re new to wine or consider yourself an amateur sommelier, the Black Glass Blind Tasting Experience at Wente Vineyard’s Winemakers Studio is a fun an informative class for all. This blind tasting is unlike any other you’ve experienced, and will test all other senses besides your sight. In this tasting guests will try to determine a wine’s varietal based on key indicators used by expert wine lovers around the world. Relax, unwind, and enjoy the smell of wine and the barrel room as you practice yoga under the twinkle lights with Natalie Shapiro. In the barrel room of McGrail Vineyards, yoga will start at 6:30PM. This balanced practice will prepare the body for a delightful tasting of three of McGrail wines. Wine will be available for purchase by the glass and or bottle in the tasting room. This balanced practice will prepare the body for a delightful tasting of three of McGrail Vineyards wines. Wine will be available for purchase by the glass and/or bottle in the tasting room. Join local confectioner Sweet Condesa Pastries and Steven Kent Winery for a special prix fixe dessert & wine pairing. This multi-course tasting of Filipino-inspired desserts and wines from around the world is sure to be a unique and tasty experience! This kid-friendly Valentine’s Day activity is meant for children ages 5-15, but the whole family wins with this delicious take-home treat. Join Tal’s Patisserie for this unique and fun Valentines Day-themed class in which bakers will learn how to make cute and colorful cupcake bouquets. 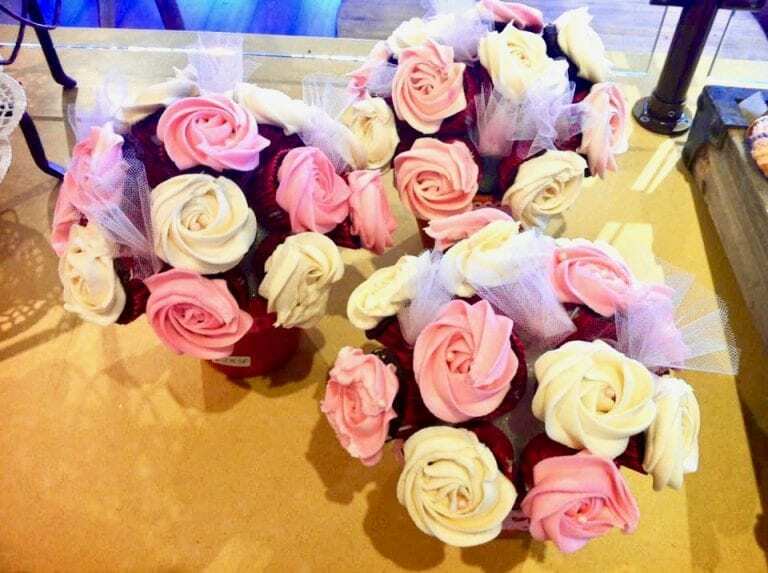 Each bouquet is made up of 12 mini cupcakes, and can be taken home to share with the rest of the family.